Note: A minimum quantity of 120 must be ordered, and in units of 40 thereafter. 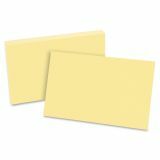 Oxford Unruled Index Cards, 5 x 8, Canary, 100/Pack - Make note-taking easy and fun with Colored Blank Index Cards. 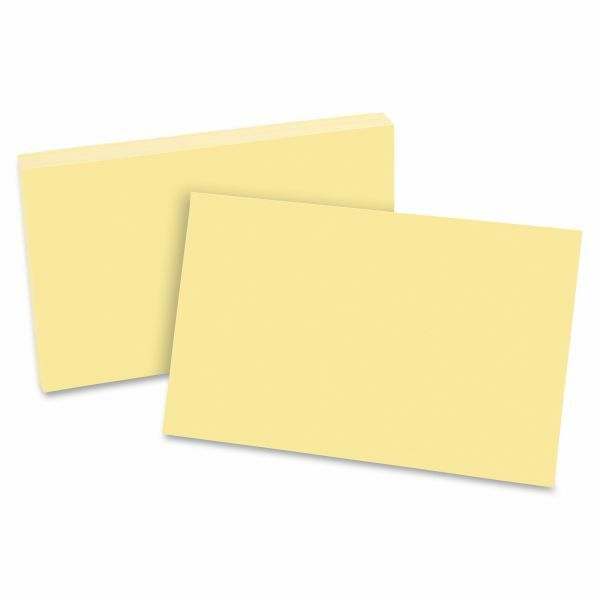 Cards are rotary cut for uniform height and blank on each side for maximum note-taking space. These colorful cards have an 8 point thickness.